Can I test my vision? 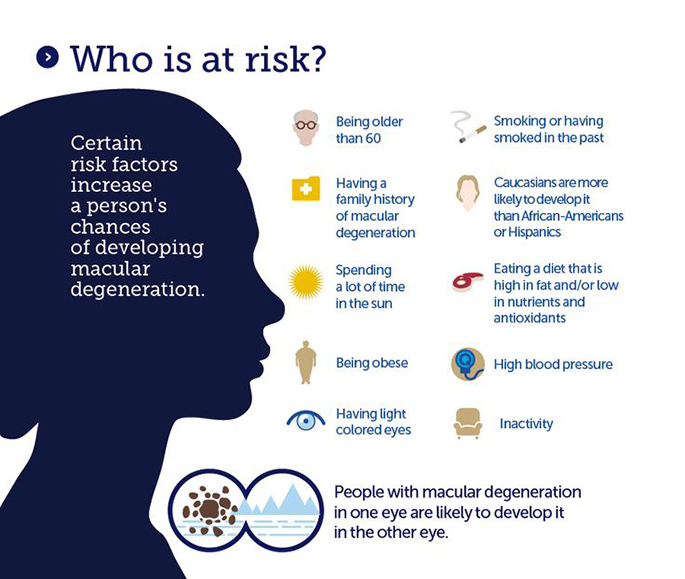 AMD or Age Related Macular Degeneraton is a chronic eye disease and one of the leading causes of severe vision loss in people 60 years of age and older. It is one the leading causes of adult blindness. 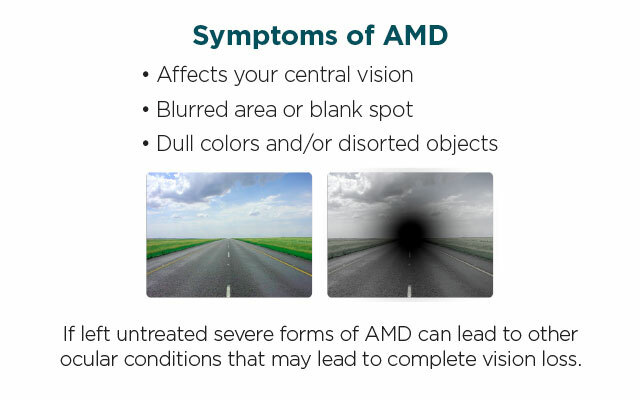 AMD is disease that can affect the sharp central vision needed for “straight-ahead” activities like reading, driving, telling time and recognizing faces. Sometimes AMD advances so slowly that you notice little change in vision. Sometimes AMD progresses quickly, resulting in rapid vision loss. AMD causes no pain, but it can rob you of your ability to see what is in front of you. 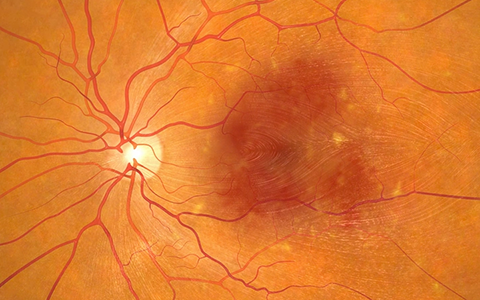 Wet AMD : In wet AMD, which accounts for about 15% of all AMD cases, but the majority of cases of vision loss, abnormal blood vessels behind the retina grow under the macula. This may lead to bleeding, scar formation and permanent damage. Damage occurs more rapidly than in the dry form and tends to lead to more severe loss of central or “straight ahead” vision. If spotted in time, treatments for wet AMD may reduce or delay vision loss or possibly help your vision improve. 1. Increasing age – About 25% of people over 65 years of age has AMD. 2. Having AMD in one eye – Of those with AMD in one eye, about 40% will develop AMD in the other eye within five years. 1. Race-Caucasians appears to have a higher risk. 4. Gender – women appear to be at greatest risk than men. There is no substitute for regular eye examinations with your eye doctor, but there is a way to check for vision symptoms at home. 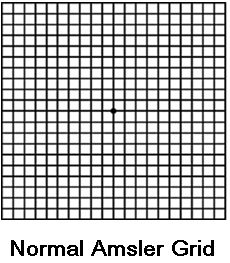 To test your vision for AMD, use a checkered square known as Amsler Grid. Ask your eye doctor for an Amsler Grid so you can test your vision regularly. If you detect changes, schedule an eye exam immediately. Intravitreal Anti-VEGF Therapy – is given as an injection into the white part of your eye. Your doctor may ask you to use eye drops for a few days before / after the injection to help prevent infection. Photodynamic Therapy, used to help treat wet AMD – In this procedure, a light-activated drug is injected in to the blood stream and travels to the abnormal blood vessels in the eye. It is then activated in the eye by a non-heat laser to help reduce the risk of further vision loss. 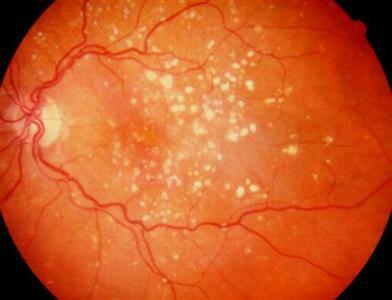 Laser Photocoagulation – In this procedure, a high-energy beam of light is used to destroy leaky blood vessels, preventing further loss of vision. Through heat, the treatment damages the retina at the treatment spot, producing scars and causing blind spots, and is only appropriate for a selected group of patients. 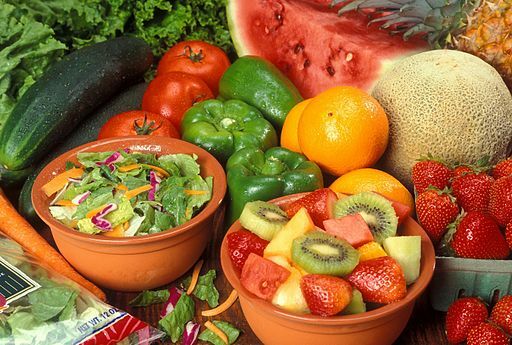 Antioxidants – Your eye doctor may recommend that you take a special multivitamin formulated for eye health.